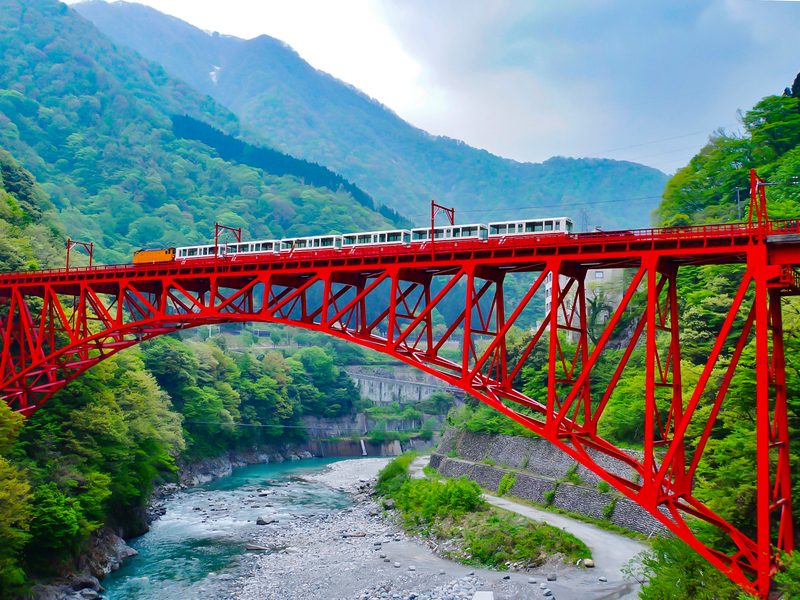 Hopping onto the trolley train of Kurobe Gorge Railway, is a joyful 1 hour and 20 minutes ride out in the beautiful nature. From Spring’s fresh greenery, Summer’s fine stream to Autumn foliage, as the train runs through bridges and tunnels, you will feel like you are riding with nature by your side. Along the way, you can choose to take a break at Kanetsuri Station or Keyakidaira Station for light meals and souvenir shopping, too!